This easy flourless chocolate cake recipe is perfect for Valentine’s Day. The gluten free cake is thick, decadent and tastes delicious with fresh strawberries. 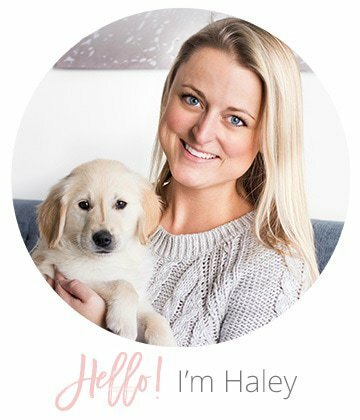 I figured it would catch people’s attention. 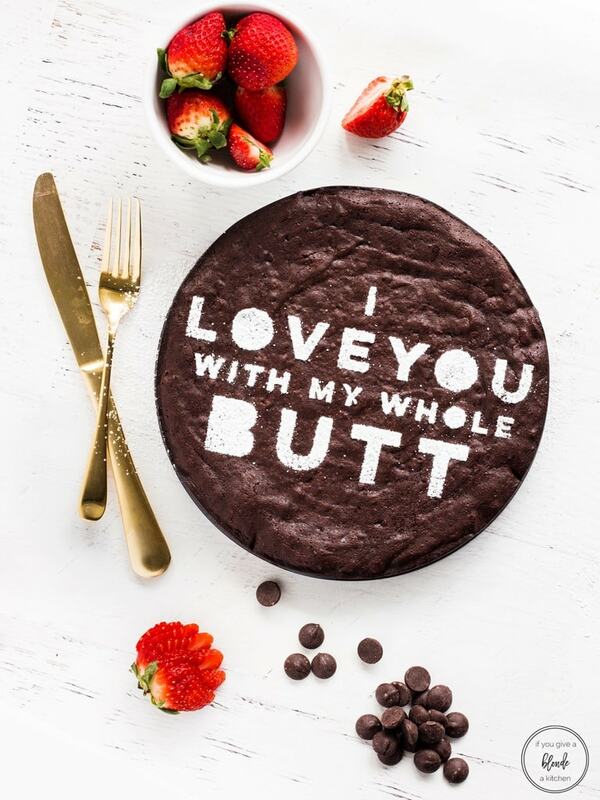 Also, sometimes feelings are hard to share so why not say it in the form of dessert? Quotes aside, this easy flourless chocolate cake is delicious. Thick, decadent and oh-so-chocolatey, each bite satisfies your sweet tooth. I love serving the cake with fresh strawberries for garnish and color. I happened to have chocolate syrup sitting in the fridge so I added a drizzle of that on one of the slices too. Flourless chocolate cake is easy to make to. Melt the chocolate and butter together, stir in the sugar and vanilla, add the eggs and cocoa. Pour into a springform pan and bake! I do have a secret ingredient though… I add half a teaspoon of espresso powder. 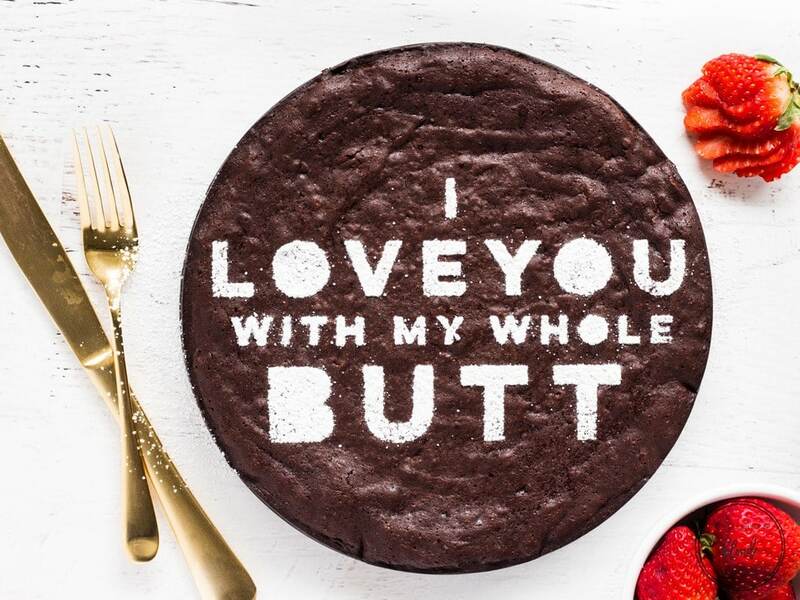 It’s completely optional, but it really makes the chocolate sing. I sometimes add it to my chewy, fudgy chocolate brownies too! 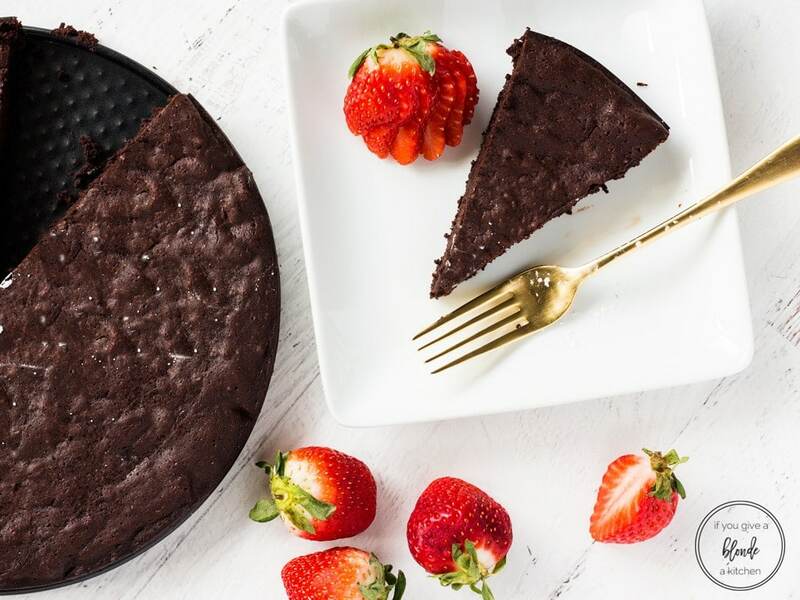 Try this easy flourless chocolate cake recipe for Valentine’s Day or anytime you’re craving chocolate. It is incredibly delicious and perfect for any occasion! 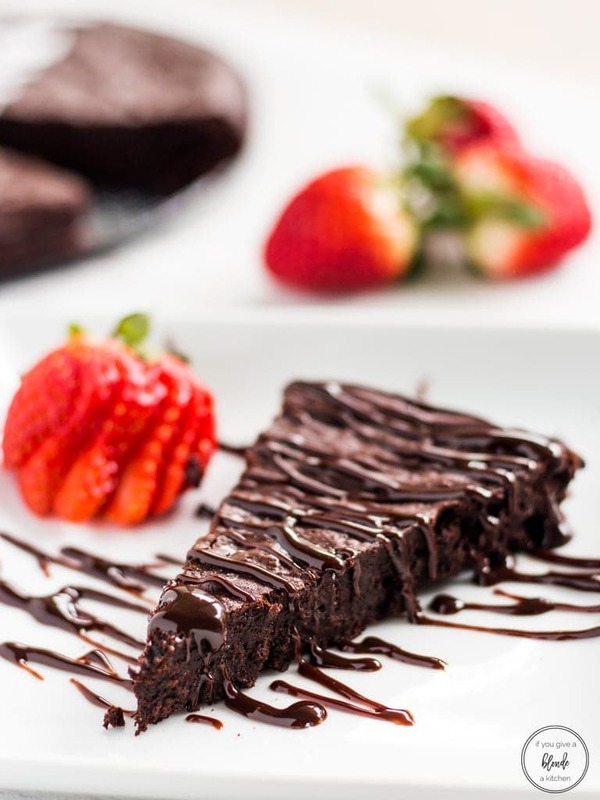 Who would you make this flourless chocolate cake for? 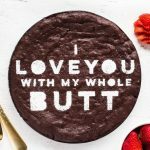 This easy flourless chocolate cake recipe is perfect for Valentine's Day. The gluten free cake is thick, decadent and tastes delicious with fresh strawberries. Add sugar, vanilla and salt. Stir with a rubber spatula or wooden spoon until combined, about 20 seconds. Add eggs and stir until incorporated, about 1 minute. Carefully add the cocoa powder and espresso powder (if desired). Stir just until combined, careful not to overmix. Pour batter into prepared pan and bake for 25 minutes. Cool on a wire rack for 10 minutes. Run a butter knife around the edges of the pans and turn cake upside down on a plate. The bottom of the cake will be nice and smooth, and is now the top of the cake. Serve warm or at room temp with fresh fruit, powdered sugar or ice cream. ¹ A 9-inch round cake pan can be used as well. ² Feel free to continue microwaving the chocolate in 10 second increments until melted. Stir after every 10 seconds. ² Cover with plastic wrap and store at room temperature or in the fridge for up to one week.